The increasing number of environmentally conscious consumers brings about more go green campaigns and a go green movement along with solutions. This gives ordinary people and corporations the opportunity to choose to make this planet a better place to stay. It is possible to go green wherever you may be: the home, workplace, community, public spots and across nations are potential arenas to go green. 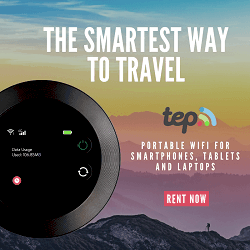 The home is the easiest place to get a go green campaign started with every family member being conscious over their carbon footprint imposition. Acts of green are easy with recycling, reducing and reusing resources in the home to cultivate go green habits. This can include using compact fluorescent bulbs (or LED Bulbs)that use 75% less energy and give out less heat to keep the home cool. Windows and doors can be draft-proof while low-flow showerheads serve to reduce the home’s carbon footprint significantly. his would generate a healthier atmosphere to spur on productivity and attitude amongst workers. Colleagues can motivate each other with a “Green Team” in reuse, recycle and reduce activities or actions that include reusable utensils, No Plastic Days and Tree Planting. Used or unwanted papers can be recycled as rough sheets or wrappers. Used copier and printer cartridges can be recycled or refilled through the available channels while unwanted or old computers, used printers and other electronics can be donated to relevant parties. The community can embark on a simple go green campaign such as car pooling or public transportation to improve the environment. These actions are excellent in building up relations while keeping the environment clean and healthy. The neighborhood offers an excellent arena to stay green through various green projects. Each resident’s trash can be someone else’s treasure. Spring cleaning need not be limited to spring time. The community can organize a Garage Day where barter activities can be conducted. Unwanted items can be freely passed on to those who may have some use for them. Commercial outlets can work out a simple go green campaign in their premises and modus operandi. These can recycle bottles, plastics and cans used especially with restaurants, bars, pubs and hypermarkets. Consumers can be encouraged to bring their own shopping bag as part of a green campaign on certain days to inculcate green habits and attitude. The local municipality can encourage the community to practice green actions with well located recycle bins around the neighborhood. Consumers are educated with civic consciousness and green solutions to keep their neighborhood clean and green. Friendly neighborhood green competitions can be organized to create a greater awareness on the need to go green and stay green for all strata of communities. Local products are strongly encouraged by consumers to reduce the amount of energy in goods transportation. When the energy consumption is reduced, there is a higher energy efficiency that promotes a healthier environment. 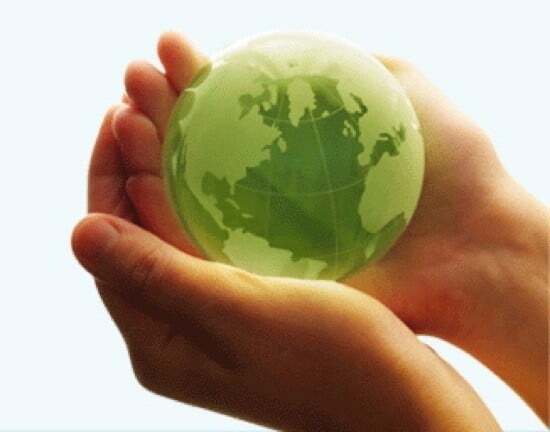 Something that everyone is aware of nowadays is the go green movement that is gaining momentum all over the world. This can only be good as the environment has started to enter the consciousness of more and more people. It is important that we make sure this go green movement is entrenched in the minds of the people in the coming years so that living in an environmentally aware and sustainable nature comes naturally rather than requiring a change in lifestyle. Of course there are a number of other hurdles that need to be taken care of. Not least of them are the various infrastructural issues that may need active government intervention. All our infrastructure needs and systems in place are energy-intensive and dependent solely on non-renewable sources of energy. However, there are certain countries, like the United States of American and China in particular which are experimenting with putting in alternate systems in place which can help take the load of their energy resources. The benefits of this shift toward green sources of energy are countless to list and everyone seems to be aware of them yet the resolve to bring about these changes seems to be lacking due to the upfront costs that may be incurred. This can only be brought about as more and more people believe and practice the go green movement and begin to apply these principles into their everyday lives. As more and more people take the plunge and get educated about the benefits of the go green movement, they will start to question the current practices that they see around them. It has been said countless times that small changes that everyone makes over a period of time have big effects. It is staggering to think the amount of water all of us could save by simply turning off the taps while shaving and brushing our teeth. Other viable options are low intensity showers and the benefits of filling buckets in the bath and pouring them as needed instead of filling the entire bath. Recycling cooking oils, re-using everything that can possible be reused, walking wherever you can; there are so many things you can do. They do not require any financial support from anyone or any special equipment. And all of these things are very essential to helping turn our ecosphere into a self-sustaining one. All these small things require awareness and that will come from education. The go green movement should be taught in our schools from a young age so that our citizens are already aware of the small changes they are all capable of making. Teachers celebrating Earth Day is a very small example of bringing this life-long message to children. One educated person acting in a responsible manner will inspire dozens around him/her to act in the same manner. It is a chain effect, and we have to keep at it till we hit critical mass and this movement becomes big enough to propagate itself. When our cities, schools, businesses, etc. start to implement go green campaigns and a go green movement, it will possibly be a turning point for our civilization and its very existence. Most of everyone would have come across this phrase in one form or the other. How many people actually understand what going green means? Learn more about go green slogans, go green facts and go green products. 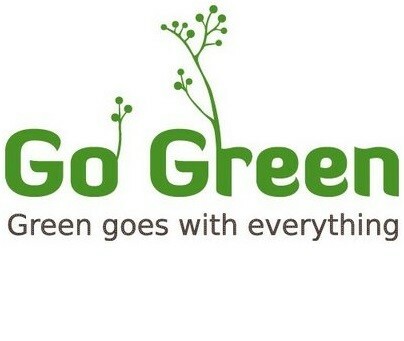 To put it in simple language, to go green means to adopt conservation of the environment as your lifestyle. People who do this limit their footprint on the environment and encourage others around them to do the same. Going green is not limited to recycling. There are so many more ways to go green. The main idea is that in many areas of your life to live the kind of lifestyle that is sustainable in the long run. It also means making small changes to your life that will help you achieve these goals. After all, it is no use to say you are going green. So what are these small things that most people can do that will help them go green? What does Go green mean in everyday life? What going green means in practice is to minimize pollution. You should also look to avoid products that cause pollution once you are done with them. There are a number of shampoos and cleaning detergents that are very harmful to water bodies as they are full of toxic chemicals. Increase your awareness about these things and help educate others in turn about these issues. These affect all of us and it is everyone’s duty to ensure that we are doing the most we can to preserve the environment. Simple things like turning off the lights from a room while leaving goes a long way to help conserve energy. Most of the resources we are using for our daily lives are finite. Even things that we take for granted like water will face a huge shortage in the near future if we continue to be wasteful as a community. Taking shorter showers and using low intensity shower heads helps conserve water every day. Reusing everything that you can should be made into a habit. Buy reusable multi-purpose bags that you can take with you for grocery shopping and other purposes. These bags are stronger than plastic bags and can be used over a long period of time. Plus they do not choke our landfills. Appliances that are no longer in use continue to pull electricity so get in the habit of unplugging things after you switch off. Once you do it for a long enough time it will become second nature and you will not even think about it before you do it. Eating things that are produced locally is always a good way to go. Try and shop at your local farmer’s market and encourage the farming community in your locality. Even try and grow some of your own vegetables. It is an extremely healthy and green habit to cultivate. All of these things are easily doable and will help you live a greener lifestyle and contribute to the wellness of your environment. Also, remember that by acting in a responsible manner you will help inspire other close friends and relatives to adopt the same lifestyle. Slogans are an important tool in raising awareness for your cause, whatever it may be. In fact the best campaigns run for water pollution, conservation, eating local. Anything you can think have had an easy-to-remember phrase. It is important to have your go green message put across in a clear and concise manner without sounding too preachy. The Go green slogans should roll of the tongue without effort. A good slogan will be the strongest tool that you will have during your campaign as it is what will be headlining the flyers, posters and banners. Most people will not stop to listen to your entire cause or even read the entire material that you may have prepared. They will read your slogan and form an opinion. It is a strong caption that will pull more people to your cause. Make sure Go Green sticks in the mind. There are a number of ways to utilize good go green slogans once you have them. You can have them printed on t shirts and pass them around to people. This way you have walking talking slogans all across your locality. If you can convince a large enough number of people to wear your t shirts you are well on your way to go ‘viral’. We all know how important it is to go viral today! Have your slogan printed on reusable canvas bags and then tie up with local supermarkets to pass them on to their customers. This is a win-win as most businesses want to be associated with positive ventures in their locality. The customers too will not need any convincing to take these bags and they and their families will get a good look at your slogans. Slogans can also be printed on pens and other forms of stationery. This method needs some innovative design as a pen is not the most noticeable of things and is easily misplaced. However, stationery is easy to pass on to people. Badges and buttons are also a good way to get your slogans in the public view. It requires people to be on board to wear these badges and buttons. Your volunteers who are already on board and committed to the cause will be the people who are most likely to wear these. Your slogans should also be printed on large easy to view posters and banners across your venue. 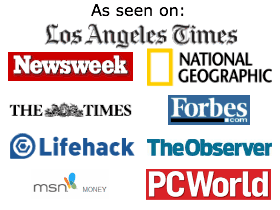 Any or all of these ideas are effective in bringing your message to a large number of people. It is important that your slogan be original and engaging and not just a run of the mill copy or rehashed version of other popular slogans. Remember, it will help establish first contact with potential volunteers and supporters so you need to make a strong impression. Remember to avoid having too many different slogans for a single effort as it will end up confusing the issue and dilute your message. Going green products are an important and relevant aspect to one’s lifestyle. One of the pitfalls of having many choices in the market in context with consumer goods and services, is that many of them are not environmentally-friendly. This means that they are either not recyclable and will contribute to environmental pollution since they will be “dumped”, or that the manufacturing processes associated with making the product have resulted in waste and pollution. Too many products from too many factories will certainly result in additional pollution and harm to the environment; the use of going green products will ensure that you cause minimal environmental damage, reduce and conserve precious energy, and, as an added benefit, improve the health and immunity of your household. Clean and going green products contribute to a healthy environment and raise environmental consciousness. Here are some ways in which you can make small but relevant changes by switching to going green products. If you were to compare a regular light bulb to a CFL light bulb, you would discover that the energy efficiency of the latter would enable you to save up to $40.00 over its lifespan. An average CFL light bulb will last 10 times longer than a regular light bulb, and will use 75% less energy as well; it also produces 75% less heat, which makes it safer to use. It is a good idea to invest in CFL light bulbs therefore, as they will save you money and energy at the same time. Another look at the water waste which results from the use of faucets and shower heads will enable you to make an eco-friendly change with the help of go green products such as low-flow shower heads. Installing aerators for bathroom and kitchen faucets will enable less use and more efficiency of water; it is recommended to use a 2.2gpm aerator for kitchen faucets, and 0.5gpm aerators for bathroom faucets. For your showerheads to become more efficient, consider a 2.5gpm for them. Cleaning products are another aspect of one’s household, which could cause toxicity and health problems, since a number of mass manufactured products contain harmful chemicals. Going green products such as green, i.e. eco-friendly soaps, liquid sanitizers, carpet shampoos, and toilet cleaners, are readily available and major stores. They can also be ordered online, and a number of smaller companies manufacture and sell them at low prices. In context with household appliances, it is a good idea to check for the “Energy Star” labels present on yours. Investing in washing machines, dishwashers, and heaters, which use as little energy as possible, will help you reduce your bills as well. You will be saving water and electricity bills. Going green products will help in doing their bit to reduce environmental pollution. Using going green products, as part of your daily household activities will ensure that you are safe and healthy, and that your family members are not unknowingly ingesting some toxic fumes and substances from household cleaning agents. Now you can answer what does go green mean and can understand the go green slogans and importance of go green products. This lifestyle choice will benefit you, your family and the environment.